If you're a fan of puzzle games, you have to download God of Light for iPhone. In this game you have to help Shiny to save the Universe from darkness, making use of light-related laws of physics and different objects to reflect, split or combine rays of light, which activate life sources. 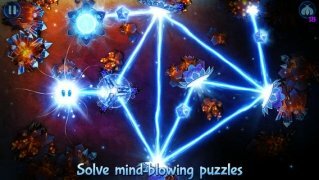 Direct the rays of light to find the solution of the different puzzles. 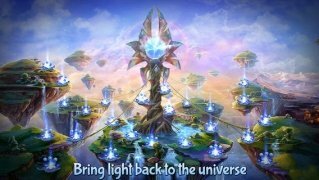 Explore three different worlds with over 70 levels in total. Use all sorts of reflecting elements to control the rays of light. 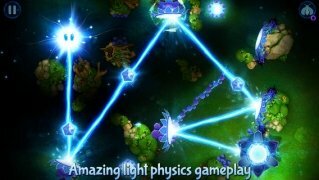 Collect glowing creatures that will help you solve puzzles. 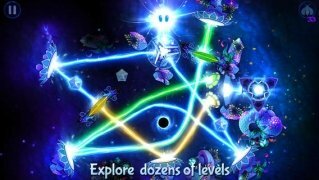 Receive regular updates with new game worlds and levels to explore. God of Light includes a soundtrack written exclusively for the game by the British trip-hop band Unkle. The music manages to captivate and surround the player by an enveloping atmosphere that suits the game perfectly. 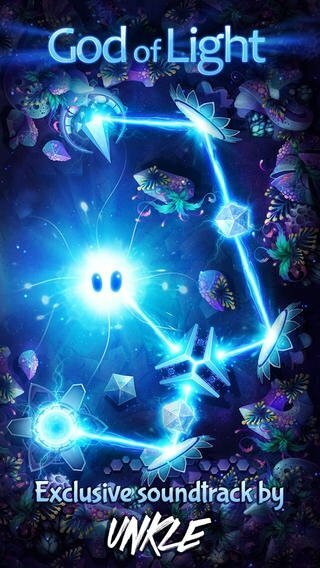 Make your best effort to solve the puzzles and save the Universe with God of Light for iPhone. This is a pay-to-play application.